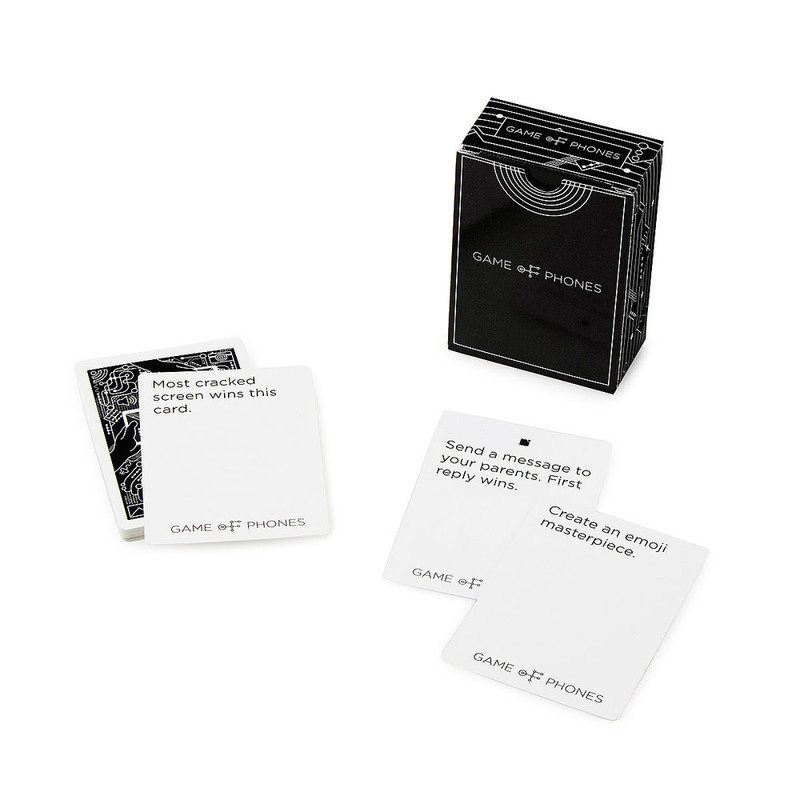 Game of Phones is a totally new kind of card game. Race to find the best or weirdest things on your smartphone to win. Game of Phones started as a challenge for a class to raise $1,000 by creating a product or service. Sam Wander and I put our heads together to find issues that interested us and that we could have fun tackling. Game of Phones was the result. We launched the idea for Game of Phones on Kickstarter, asking for $6,000 to help produce a first round of decks and get the idea off the ground. Over 550 backers and almost $17,000 dollars later, Game of Phones launched. With the money made on the Kickstarter, we were able to manufacture all the decks for our backers and start our business. Today, we sell Game of Phones in 5 countries and are continuing to expand, selling over 30,000 decks in 2015. I began and still run the business of Game of Phones with Sam Wander. We share in all the responsibilities in developing and maintaining the company including, but limited to communicating with our manufacturer, pursuing new retailers, handling orders, and developing new ideas and concepts. Coming up with the idea for Game of Phones came from our fascination with the way technology is changing everyday behavior. We wanted to play with the common sentiment that excessively checking phones is considered anti-social, yet pervasive. Ultimately Game of Phones became a reaction to this ideas because we felt that sometimes phones can make conversations and social interactions better or more fun. We printed prototypes, tested at bars, game stores, and school, and came up with a direction. We had an idea that we knew people would like and funding it through crowdsourcing seemed like the best approach to get it off the ground. We lined up everything we would need for the campaign and approached countless media outlets, bloggers, and entrepreneurs in the same industry and pushed our game to them. It was our first time crowdsourcing a project so we didn’t know quite what to expect, but in the end we got funded. With the money made on the campaign we shipped to our backers and now continue to sell the game through multiple retailers today. One player picks a card and gets to judge that round. They read the prompt to everyone else. Something like 'Find the best #selfie' or 'Show the last photo you took'. Everyone finds something on their phone and shows the judge, who gets to choose a winner for that round. First to win 10 rounds is the overall winner. That's pretty much it. Simple right? But with different friends and the internet in your hands the game is totally different each time you play. It's limitless fun. Find out more about the game here!